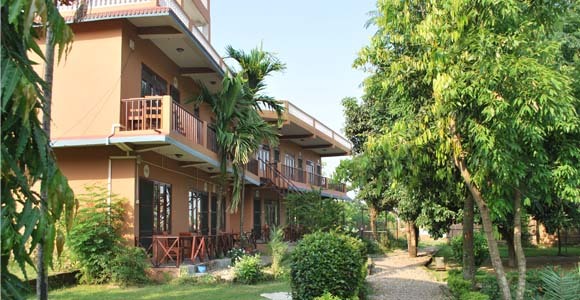 Travellers Jungle Camp is an eco-sensitive cottage built in the out skirts of Sauraha Village where you can get a first hand experience of jungle life or simply enjoy a relaxing holiday. 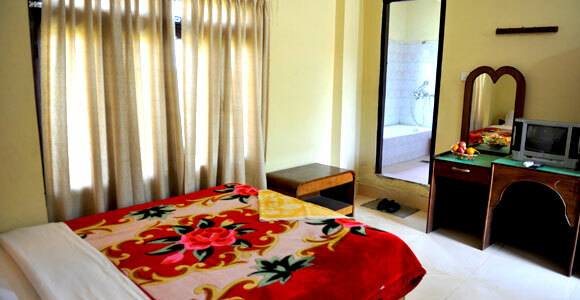 This all inclusive cottage encompasses over many acres of untouched land and consists of cottages gardens, and central building that give the feel of heavily pleasure. 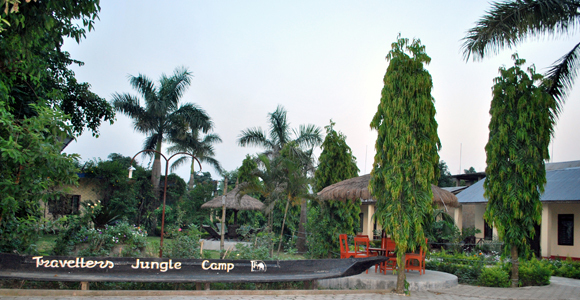 Traveller's Jungle Camp was established in 1986 with an objective to cater to the needs of customers so that they feel at home and enjoy their holiday to the fullest. As a social responsibility. Some proceeds of our Business also to go towards charitable projects. Chitwan, the richest in game and the most accessible national park in Nepal, offers it's visitors the best in flora and fauna. The majestic Tiger, the almost unnoticeable, the one horned Rhino of the swampy grasslands and the tall Sal are just some of the attractions here. Covering an area of 1162 sq. km. 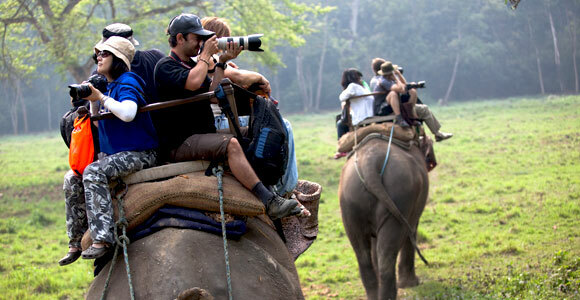 Chitwan is a mix of dense forest, open grasslands, tribal villages, gurgling rivers (Rapti) and vast sand beaches. 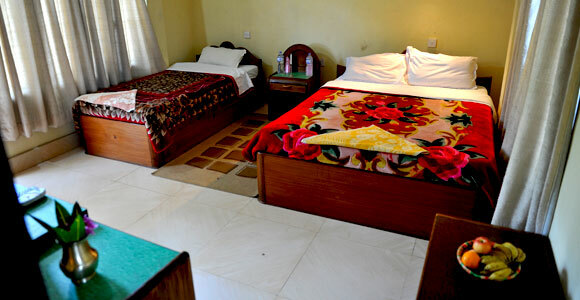 Travellers Jungle Camp is one of the finest jungle resort at Chitwan National Park. 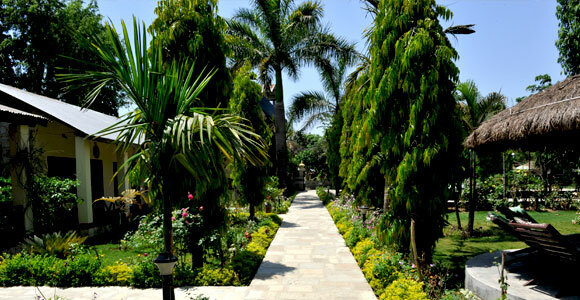 Since our establishment in 1986, we are serving best services to our valuable guests. please read about what they said about us. © by Travellers Jungle Camp, 2019, all rights reserved.